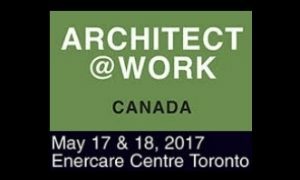 The network Italia for Contract goes back to Canada by participating to Architect@Work, the event featuring the most cutting edge innovations and spotlights the most anticipated trends for the architecture and design industry, from breakthroughs in technologies to new material applications. – Marmi Vrech, from the town of Cervignano del Friuli, in Friuli Venezia Giulia region, that will exhibit at Booth 99 its realisations with a sample showing the innovative materials that best represent its know-how, exclusivity and products’ beauty. Its marble and stone manufacturing solutions can apply to every project for shaping spaces, in an elegant and stylish way. Over one thousand architecture and interior design professionals will flock to Canada’s biggest city to discover the industry’s most exciting new products from exhibitors across North America and Europe. The event will be structured with short seminars giving fellow architects the chance to share their experience with visitors or the opportunity to present hot topics. The layout will be made up of 80 uniform turnkey booths featuring 300 innovations, where visitors will be automatically led along a route that will allow them to make the best possible visit in the most efficient time.